Creative Frozen Gift Idea: Paint Your Own Elsa Bank! 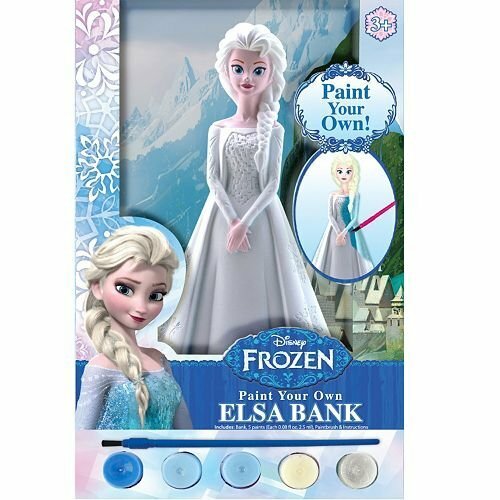 Paint Your Own Elsa Bank! 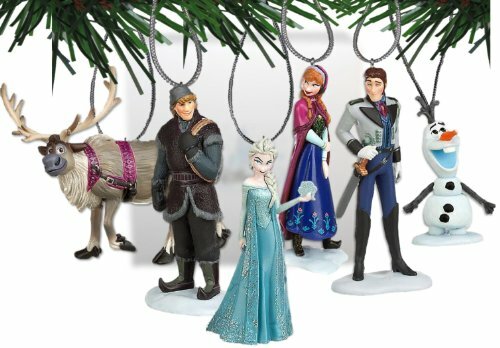 This is a fun and creative gift idea for Frozen fans! You'll get a full-body Elsa-shaped blank coin bank, ready to paint however a young artist would like! This is a fun project for little artists to learn about painting, patience, and of course about saving money! The paint-your-bank-kit comes with the paint you'll need to make Elsa look just like she does in the movie Frozen. Detailed instructions are included but of course the artist can make her own creative decisions when it comes time to lay paint to bank. Take care to let each color layer dry before proceeding -- this fun project will take multiple days to finish! Note that Elsa's detailed face comes already painted. Pick up this fun, creative and educational gift for the little Frozen fan in your life! Coordinated sets of warm weather gear make excellent Christmas gifts or stocking stuffers. The cozy hats, warm mittens and stylish scarves here are all inspired by the famous characters of Arenedelle. Princess Anna, Elsa the Snow... Stay Warm with Frozen!